2. Vermont Castings – U.S. makers of fine wood stoves. Kind of partial to them, since I used to help install them. 3. St. Louis and Arizona Cardinals – sorry, just couldn’t resist. You could add Stanford, too. 4. Gammarelli tailors – dressing the pope for over 200 years. 5. Poland and Germany tourism departments. Well, why not. The home countries of the last 2 Popes are great places to visit. Also, Ghana, Italy, and a couple of other countries associated with front-runners. 6. Gerda keys and locks – because conclave basically means “lock-in,” after all. 7. Makers of anti-bugging devices. 8. Port-a-potty manufacturer who provides the portable toilets in the Sistine Chapel. 10. Berlitz and the Rosetta Stone – especially the Latin modules. Last time was 600 years ago – as pretty much everyone in the Western world has now heard many times. Popes don’t resign – how can the representative of Christ, who speaks on doctrine ex cathedra, who was chosen by the Holy Spirit through the cardinals, give up his office? One Polish blogger compared the Pope’s resignation to the denial of Christ by Peter, the “first pope.” The same blogger indicated that since the Pope is abdicating, this casts doubt on all of the claims that the Church makes about the Pope anyway. 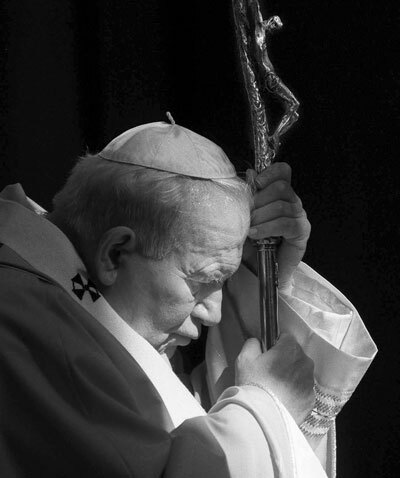 Now, like many Western Protestants, I don’t mind at all that the Pope, who is 85, is stepping down. It makes sense, he’s earned it – if only by nature of the unbelievable stress it must be to be Pope – and the Pope’s abdication has absolutely no effect on my faith, or my perception of the Roman Catholic Church. But I live and minister in Poland, one of the last real bastions of the Church. The abdication of the Pope is topic number 1 the last few days. And this is in spite of a growing resentment among many Catholics towards the Church. I think most Poles have a positive image of Benedict XVI. The cynic may say the Church has done a good job “selling” his image, but in Poland, that would have been a pretty tough sell, without some very impressive quality to go along with the image. He replaced the greatest Pole in modern history, the savior of the Polish nation from communism, Karol Wojtyła. And Ratzinger is German! 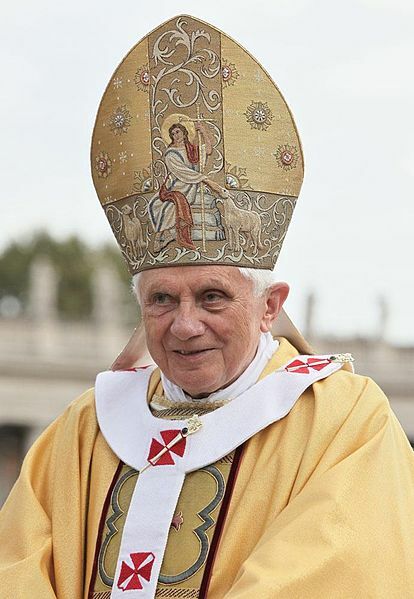 But Benedict XVI has been erudite, sincere, and seemed committed to cleaning up some of the problems in the Church. Sure, he probably hasn’t been as popular as John Paul II was, certainly not in Poland – but then, who could have been? The question really is, of course – who’s next? Who will be the next “Vicar of Christ?” And what effect will he have on the Roman Catholic Church, or even the world at large? Already Polish commentators are writing about the potential changes in the Church, if only as a result of new bishops appointed. Benedict XVI worked hard to reintroduce academia and rationalism into the Church, to reinforce Catholicism as a viable, intellectual framework. Will the new Pope continue that trend? Or will he usher in the end of the world? Many people understand the medieval prophecies of Nostradamus and Malachy to indicate that the last Pope, Petrus Romanus, will be black, and will usher in the end of the world. Before I quote my dad, and say “hogwash”, I think many Poles would see an African Pope as just about the end of the world. Paddypower.com lists the betting odds for the new Pope. The current front runner is from Ghana. Hmm. Cool! End of the world, here we come! Now, on the one hand, I don’t really care who becomes the next Pope. I’m not Catholic, and I’m not planning on betting on the race. However, the next Pope will have an effect on Poles – Catholic and non – and I do care deeply about that. So, this might sound strange to my fellow evangelicals in Poland, but – I’m praying for this process. Praying that God would use the choice to bring people to Himself. Oh – one last thing – maybe I am pulling for one candidate. Currently listed as 80 to 1 odds – I always did like an underdog. 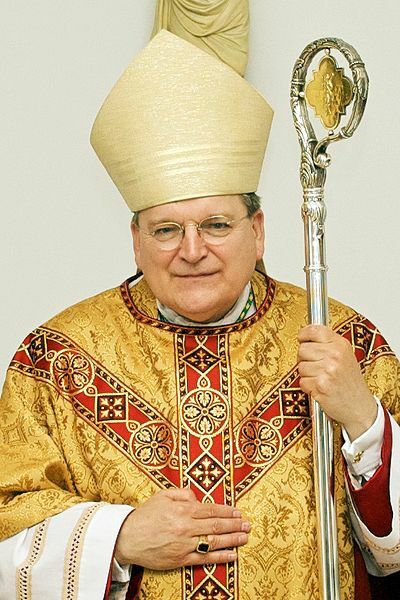 Cardinal Raymond Leo Burke, famous for refusing to give John Kerry communion, because of Kerry’s stance on abortion. Burke comes from Richland Center, WI, and is my step-grandfather’s nephew. We saw each other only once, at Grandpa Theron’s funeral, when he was still bishop of LaCrosse. But – wouldn’t it be cool to be related to the Pope? ?